Jasmine Vink, 'On the Edge'. Overall Winner, 2018 Photographer of the Year. Winner, 2018 Wildlife and Animal Photographer of the Year. Brett Ferguson, 'The School'. Winner, 2018 People and Portrait Photographer of the Year. 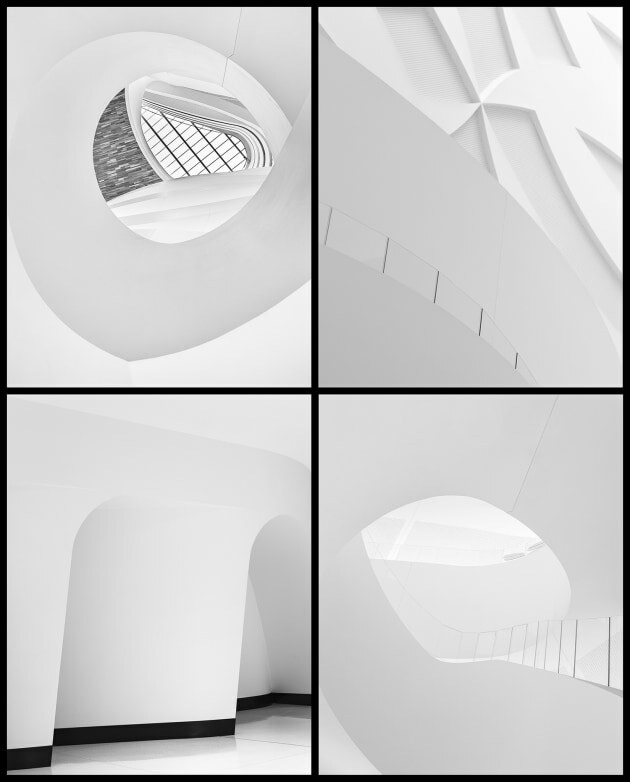 Cameron Meacham, 'Shapes of Melbourne'. Winner, 2018 Black and White Photographer of the Year. Dennis Rickard, 'Sands of Namibia'. Winner, 2018 Aerial Photographer of the Year. 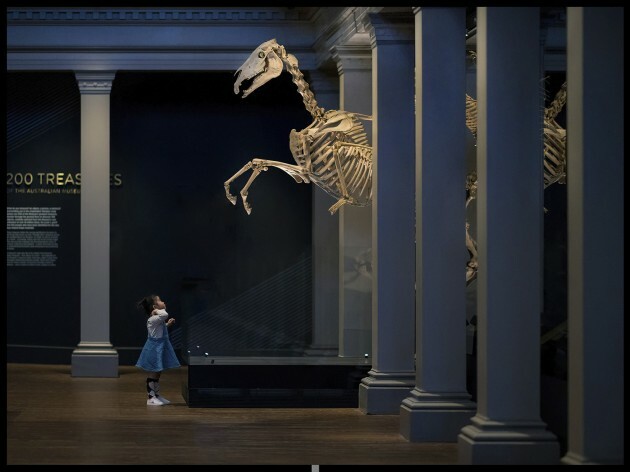 Derek Zhang, 'Night at the Museum: Summon of the Horse'. Winner, 2018 Photo of the Year (single). Jingshu Zhu, 'Magic of New Zealand'. Winner, 2018 Landscape Photographer of the Year. 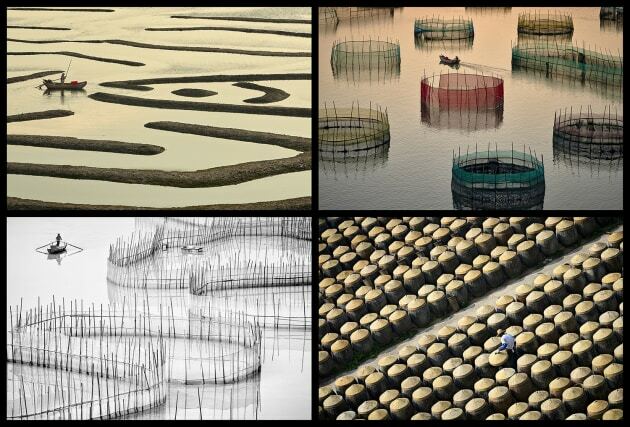 Niall Chang, 'Scenes of Xiapu, Fujian, China'. Winner, 2018 Travel Photographer of the Year. Harman Singh Heer, 'Monsoon Magic'. Winner, 2018 Junior Photographer of the Year. A series of striking images of endangered amphibians has won Brisbane ecologist Jasmine Vink the overall title of the 2018 Photographer of the Year, presented by Panasonic. 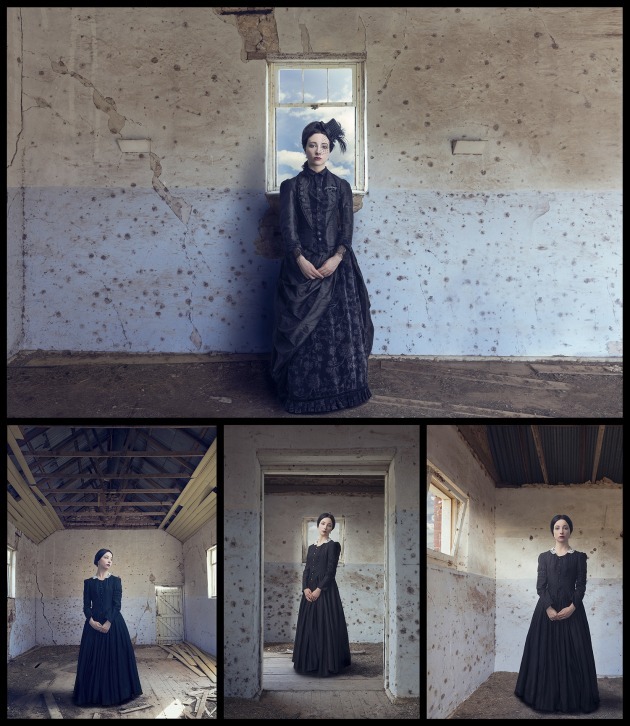 Australian Photography's Photographer of the Year is the largest amateur photography competition in the Southern Hemisphere, with photographers competing for a prize pool valued at over $46,000 in cash and prizes in 2018. To qualify for the competition, amateur photographers from Australia and New Zealand submitted a portfolio of four images in any of seven categories including Landscape; People and Portrait; Wildlife and Animal; Travel; Black and White; Junior and Aerial. 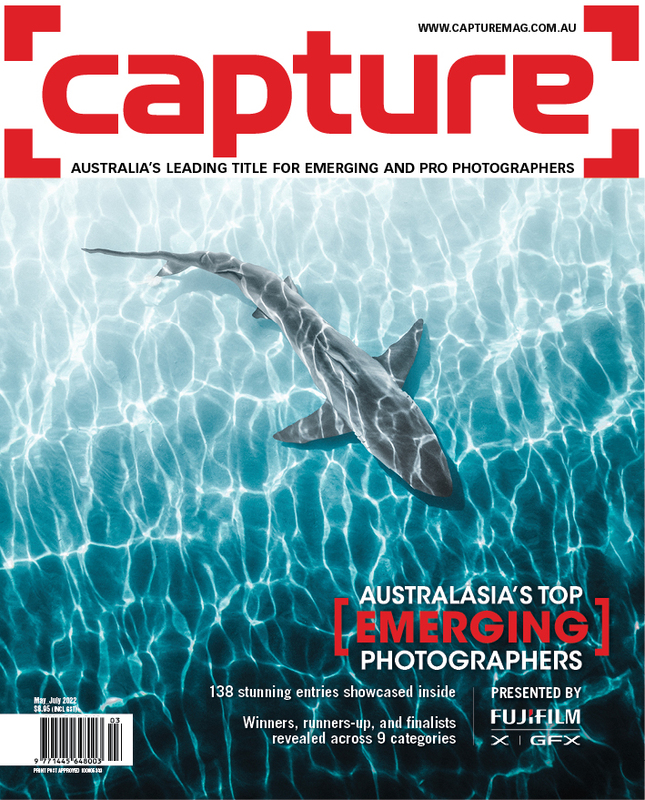 “The challenge for entrants is not just shooting one or two great images, but compiling a series of four that work seamlessly together,” said Australian Photography Editor, Mike O'Connor. The 26-year-old, who describes her passion as reptiles and amphibians, says her aim with her photography is to educate people about protecting frogs - amazing but often misunderstood creatures. As overall winner Vink takes home a prize pack valued at more than $7,500, including a Panasonic LUMIX G9 camera and lens kit, a WD storage package, $1,000 cash and, along with six other category winners, a weekend photo workshop with Panasonic Ambassador Ken Duncan on the NSW Central Coast from March 30-31. 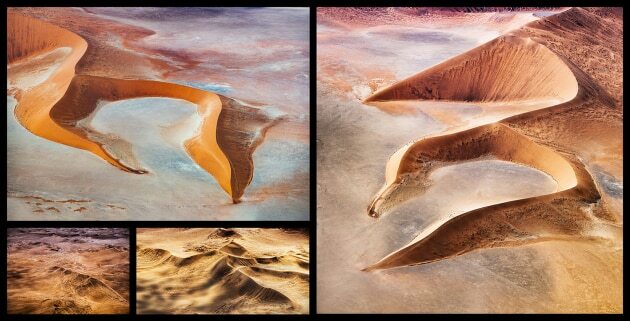 “Being named Photographer of the Year is an absolute privilege," said Vink. 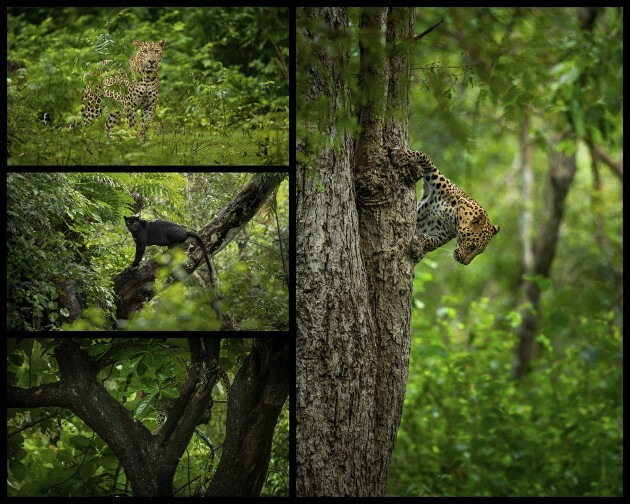 "I began my pursuit of photography more than five years ago because I was passionate about capturing the beauty of reptiles and amphibians - a rarely celebrated area of wildlife. "Winning the Panasonic LUMIX G9 kit is very timely, as I have been thinking about upgrading to a mirrorless model since my current DSLR kit is on its last legs and proving quite heavy on some of the hikes I do while travelling. It was on one of these hikes in Ecuador where I captured the winning images – memorable for multiple reasons as my partner proposed during the trip! For professional wildlife photographer and panel judge Shannon Wild, the secret to the success of Vink’s winning portfolio is her knowledge of animal behaviour paired with obvious photographic skills. “Jasmine’s work exudes a clear understanding and passion for her subject combined with technical execution and composition,” she said. 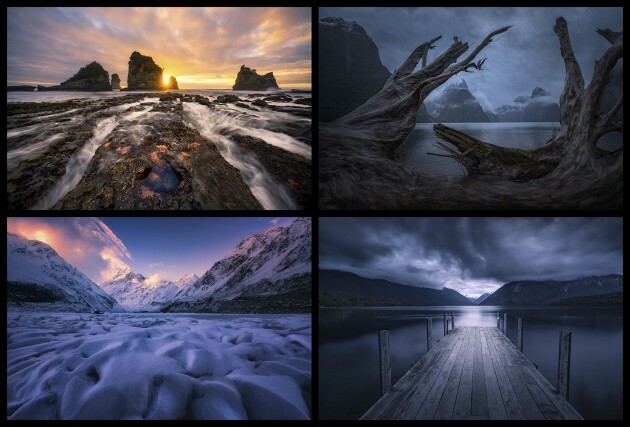 Other winners included a series of beautifully moody landscapes taken in New Zealand by Sydney accountant Jingshu Zhu, minimalist black and white architectural images by early-childhood teacher Cameron Meacham, and stunning portraits more than 90 years in the making by Melbourne's Brett Ferguson. The competition was judged by leading professional photographers from Australia and New Zealand, Petra Leary, Alex Cearns, Rohan Kelly, Shannon Wild, Helen Whittle, Anthony McKee, Steve and Ann Toon, Drew Hopper, Lisa Michele Burns, Douwe Dijkstra, Tanya Stollznow, Keren Dobia, Nick Rains, Jacques Van As and Richard I’Anson. Below you can see our winning portfolios from each category. 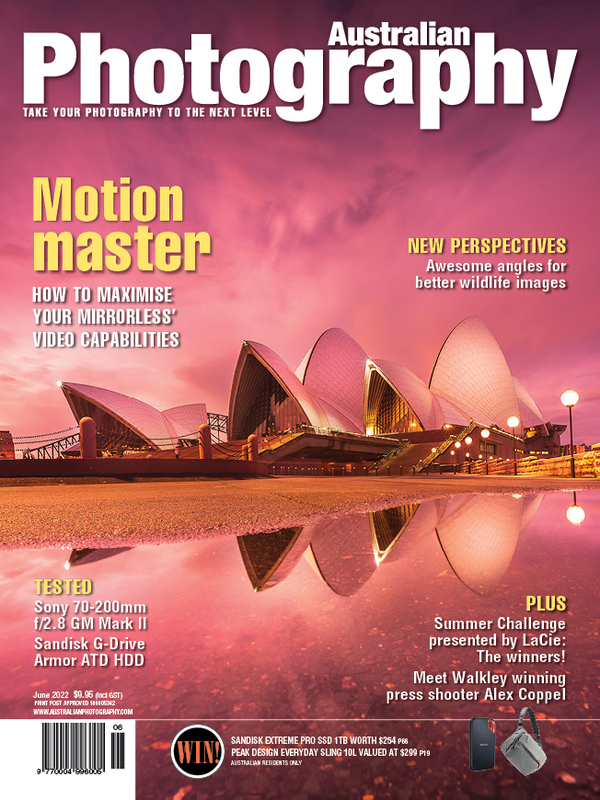 To see more detailed lists of winners and runners up, as well as the lists of the top portfolios in each category, get yourself a copy of the February issue of Australian Photography magazine – in newsagencies now – or you can get a digital copy online here, or subscribe to the print edition here. Thank you to major sponsor Panasonic, and category sponsors Camera House, DJI, EIZO, QNAP, Sally Brownbill, Sandisk, World Photo Adventures, and WD. Finally, a huge thank you to all our amazing entrants this year, we really loved seeing your work. Certificates recognising winners, runners-up, top 20, highly commended and commended portfolios will be emailled before 5pm on Friday 1 February 2019. The 2019 competition will open for entries in June; watch this space for more.